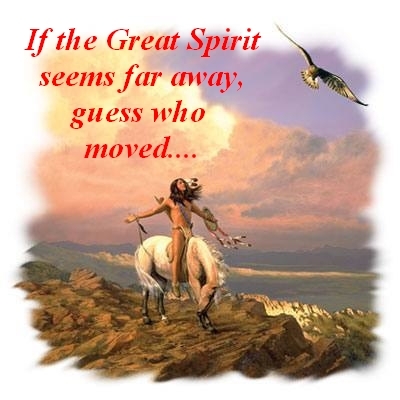 Sweet grass, sage, tobacco and cedar, the sacred herbs, will help you find your path in life, and a good discussion with the Great Spirit will give you the strength to follow the road you were meant to. Never be weary of who you are, listen to the winds, the flowing stream and the sounds in the forest, and you will find that you're as much part of the circle of life and as important as any living being on Mother Earth. Mother Earth is in dire need of strong moral people, not followers.